All hail the most reliable dinner—the stir fry—made just a tad healthier today. There have been many nights when I’ve scrambled to whip up a meal, and somehow a good stir fry never fails. Plus, it is effortlessly kind of fancy. Through many stir fry trials, I’ve created a new, healthy(ish), and incredibly flavorful take on a classic stir fry with peanut sauce. 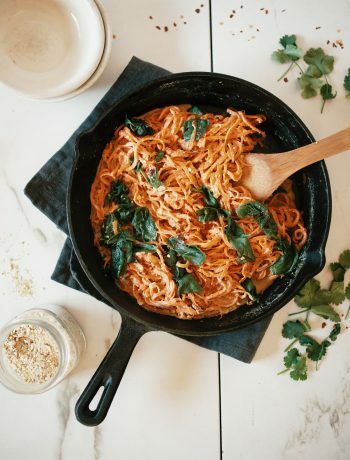 Made in only 30 minutes and with 11 ingredients, this recipe is sure to become a go-to for your busy week-night meals. 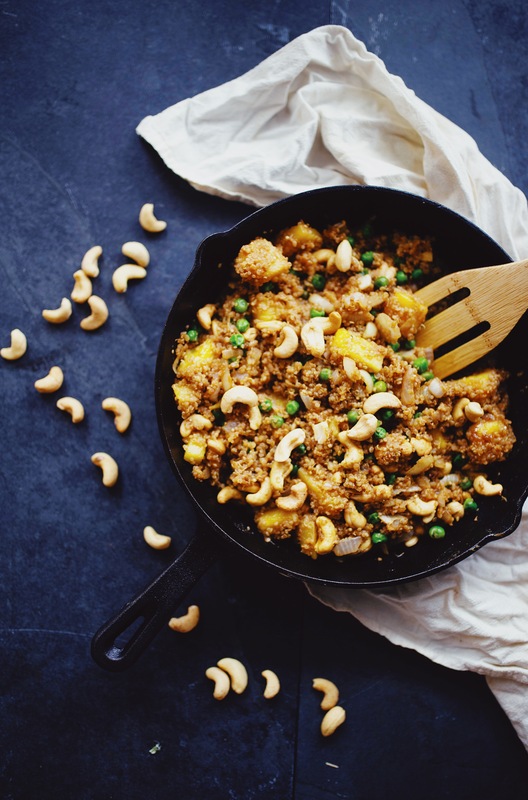 Let’s whip up some Pineapple Quinoa Stir Fry! 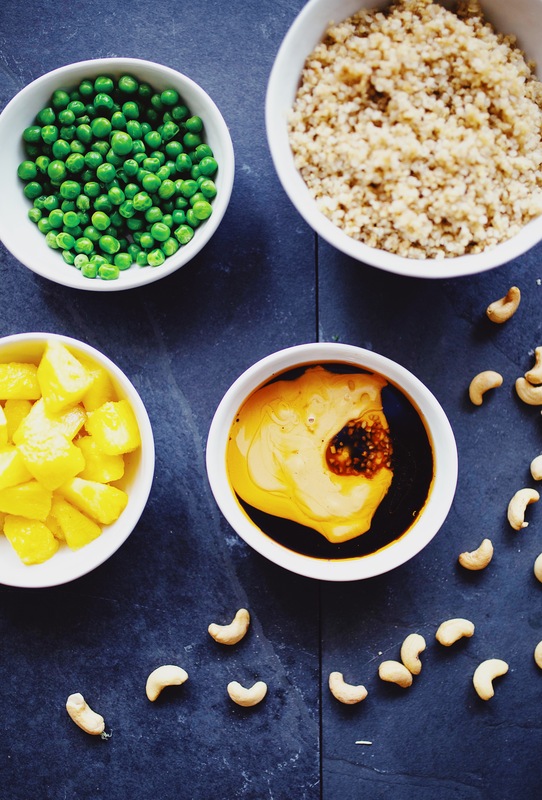 This simple gluten free and vegan combination of fluffy quinoa, lots of garlic, onion and peanut sauce might sound average—until you add the sweet and juicy pineapple! This ingredient really takes my stir fry to the next level. 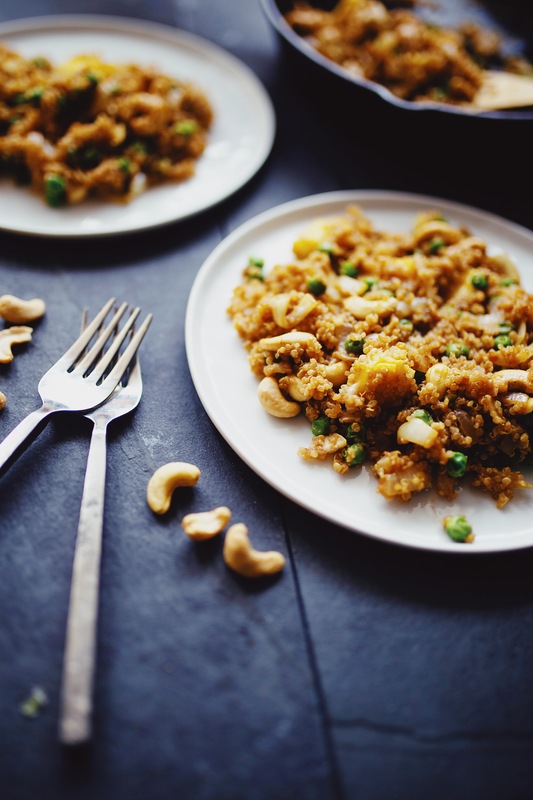 Using quinoa, cashews, and peanut butter in this recipe makes it protein packed. 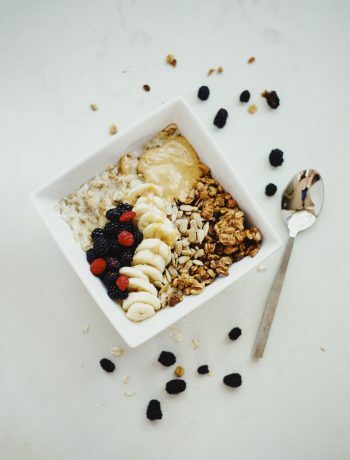 You are sure to stay energized and satiated until your next meal! 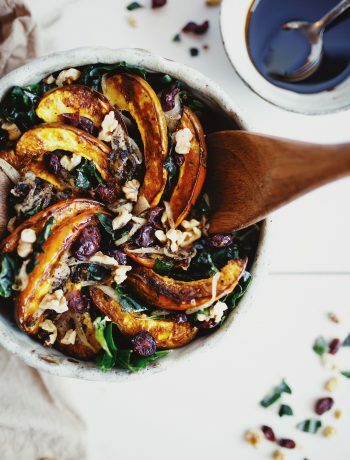 Pairing this with the nutrient dense peas and pineapple, you’ve got yourself a superfood loaded dinner. & super fast to whip up! If you dig this unique stir-fry might also enjoy my Thai Peanut Soup with Kale, Simple Miso Ramen, Colorful Spring Rolls with Peanut Sauce, or my Curried Lentil Soup. 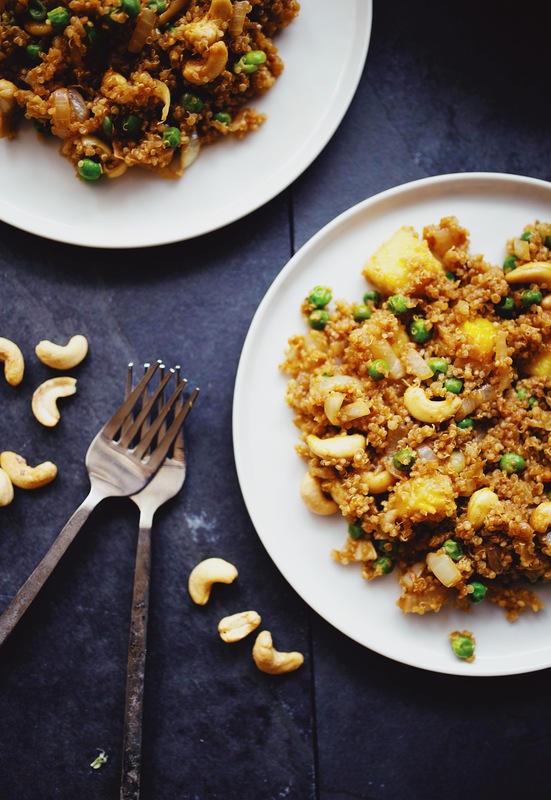 My pineapple quinoa stir fry is a healthy(ish) and incredibly flavorful take on a classic stir fry. In only 30 minutes and with 11 ingredients, this recipe is sure to become a go-to for your busy week-night meals! Cook quinoa according to package directions. * Set aside. Melt coconut oil in a large skillet over medium heat. Once hot, add the onion and garlic. Sauté for 2 minutes or until fragrant. Add the peas and cook for another 2 minutes. Pour in the cooked quinoa and roughly ¾ of the prepped sauce—set the remaining sauce aside for serving. Toss mixture until sauce is evenly dispersed. Add the pineapple and cashews. Cook stir-fry for another 2 minutes stirring frequently. Serve immediately with the remaining sauce. Leftovers will keep for 3 days refrigerated in airtight container. *This step can be done in advance—simply refrigerate cooked quinoa in airtight container until ready to use.